Thank you to everyone who came out to volunteer for Heidelberg’s Neighborhood Clean Up Day. 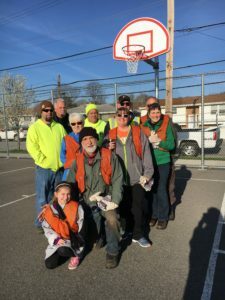 Over 16 bags of trash were collected by volunteers, and many residents utilized the dumpster that was provided at Heidelberg Park. Lunch was enjoyed by all afterwards. A special thank you goes to Pizza Americana for supporting their community and co-sponsering the 2018 Clean Up Day.